You’ve worked hard over the years and finally managed to buy your dream house. The happiness and excitement is boundless, but the thought of moving your belongings safely is weighing down heavily on you. Household furniture, electronics, appliances and personal stuff; with so much to move you are falling short of ideas about how to move deftly. The risk of damaging or losing them is also gripping. If you too find yourself trapped in a similar situation, it’s prudent to rely on services of professional removalists. 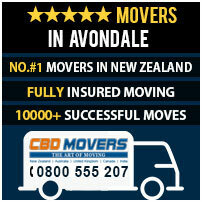 At CBD Movers NZ, we are the finest removalists in New Zealand. With rich experience, thorough understanding of the business and awareness of the nuances of the area, we offer removal solutions that are safe and reliable in every aspect. 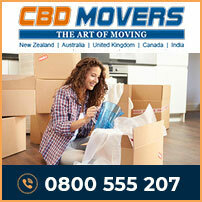 At CBD Movers NZ, we are known for our extensive range of services. We understand the varied facets of the removal industry and offer customized solutions to address every need and budget. From comprehensive house and office removals to shifting heavy and bulky furniture; you can rely on us for matchless advice and execution. We also take up basic loading and unloading jobs and help move belongings deftly. We, at CBD Movers NZ, possess the latest and the most advanced versions of the removal gear. Our trucks too are perfectly overhauled to undertake moves that are safe and well-protected. Each vehicle is equipped with climate control system that enables us to move belongings without risk of damage caused due to temperature variations. Our well-established network and mandatory licenses testifies us as an authentic mover which complies with all government regulations. Our courteous and competent crew strives to make every move a happy and pleasant one. We offer the cheapest quote without compromising on the quality of our removal services. At CBD Movers NZ, we are reckoned for our par excellent services. Our customized services allow us to address individual removal needs and stay within budgets. The comprehensive transit insurance keeps the move safe and well protected. We have transparent operations with no hidden extras. Avondale is a small suburb in Auckland, New Zealand. With superior facilities and amenities, Avondale offers perfect residential and commercial properties for a comfortable living. The town has a population of over 8,500 people. At CBD Movers NZ, we take pride in our services and offer removal solutions that are worthy in every bit. Our safe, reliable and affordable removal services help you move to and from Avondale with ease and comfort. Get in touch with us and avail the services of the best and the cheapest removalists in New Zealand.